Julie Young and Carol Keohane of Olympus and Steve Emerson are participating in Q1’s 12th Annual Medical Device & Diagnostic Sales Training & Development Conference on February 26-27 in Charlotte, NC. Their interactive workshop, “Training on the Foundations of Medical Device Sales Professionalism,” features three stations designed to exercise the fundamentals of salesmanship. See what some of the workshop moderators have to say on the topic below. Julie Young: I am the Director, Surgical Sales Ops & Enablement at Olympus and focus on sales force effectiveness and adoption of sales enablement tools, coaching and professional development. Carol Keohane: I am the Senior Training Manager, Energy at Olympus and own, develop, and deliver comprehensive training curriculum for Surgical Energy. Steve Emerson: Having been a trainer for various medical companies, my role has been seen as a conduit bridging the strategy of marketing and the tactical sales approach with the field. This requires a balance of “wants and needs” and building a mutual alliance with both towards a common interest of closing more business. Why are the fundamentals of medical device salesmanship so important for success? JY/CK: With the changing environment in healthcare, it is instrumental that our sales team can conduct themselves in a professional manner with the true understanding of healthcare, understand the alignment of selling process to buying process, know the key players, and, ultimately, meet the needs of the customer. 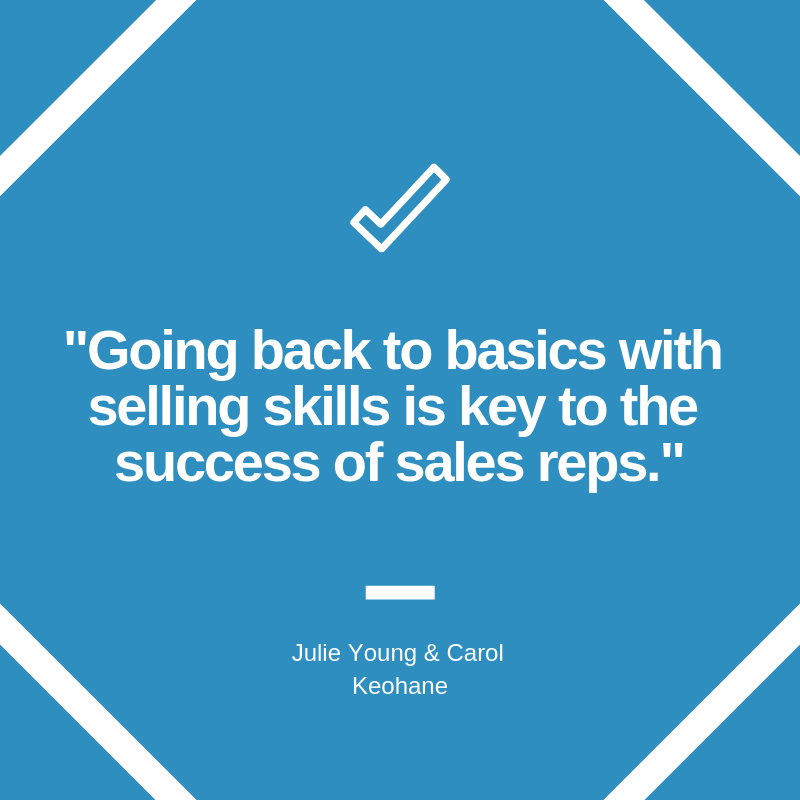 Going back to basics with selling skills is key to the success of reps and plays into all of the above mentioned facets of medical device selling. SE: It is my belief that the fundamentals of establishing a process, having the discipline of maintaining a rhythm, and “politely” reminding your customers of the value of your product provides the sales rep with the confidence to be successful. A good example is my “Three Reason Detail” tactic that I will review during my workshop. Can you give an example of an engaging scenario that might be presented in the workshop? JY/CK: Listening is key to the success of selling. We were given two ears and one mouth for a reason! The audience will participate in an engaging exercise around active listening. SE: Are you in the “right position” to answer your customer’s phone call? The gift of silence is the cornerstone to Static Harmonization and with the help of some of those who occupied the Oval Office, we can work together to ensure we put ourselves in the right position to provide the right information to our customer. What is one takeaway you hope participants gain from the workshop? JY/CK: We hope participants build awareness around thinking on your feet and active listening. SE: Sales is a profession and the skills needed to be successful requires training. Thomas Jefferson once wrote that the Constitution is the most imperfect solution to the perfect problem. Governing, as well as sales, is a perfect problem not to be solved: There is no such thing as a perfect sales call and we need to continue to work on our craft with the idea of always improving. Want to learn how Jefferson would train his sales team? Attend my workshop and we can work together on your best imperfect solution. Preview more information on Q1’s medical device and diagnostic sales training events and reserve your spot for the February conference today.